US President Donald Trump repeatedly threatened to tear up the nuclear deal during his campaign. Tehran: Iran can resume high-level uranium enrichment within five days if the United States tears up the nuclear deal, the head of its Atomic Energy Organisation said on Tuesday. "If we make a determination, at most in five days we can start 20 per cent enrichment in Fordo (nuclear plant)," said Ali Akbar Salehi in an interview with state broadcaster IRIB. "Of course we would not like such a thing to happen as we made a lot of effort to achieve the JCPOA (nuclear deal)," he added. "Our biggest priority is to maintain the JCPOA, but of course not at any price." The 2015 nuclear deal with world powers saw sanctions eased in exchange for curbs to Iran's nuclear programme. That included a ban on high-level enrichment of uranium -- 20 per cent or more -- a process which would take Iran close to the level needed for a nuclear weapon. US President Donald Trump repeatedly threatened to tear up the nuclear deal during his campaign, and it has come under mounting pressure after Tehran carried out missile tests and Washington imposed new sanctions -- with each accusing the other of violating the spirit of the agreement. But Salehi said that scrapping the nuclear deal would backfire on Washington in its efforts to tackle North Korea's atomic programme. "If they call off the JCPOA, North Korea will say you are not committed to your pledges," he said. "The credibility of the US will fall apart and the question will be raised as to why they committed themselves and then violated their commitments." Under the deal, Iran is allowed to enrich uranium to low levels of 3.5 per cent, which can be used to power reactors. At 20 per cent, uranium can be used for nuclear medicines, but crucially leaves only a small amount of work to get to the 90 per cent level needed for a nuclear weapon. For this reason, when in February 2010 Iran began enriching to 20 percent alarm bells rang, since it dramatically shortened the time needed to produce a bomb's worth of weapons-grade uranium. 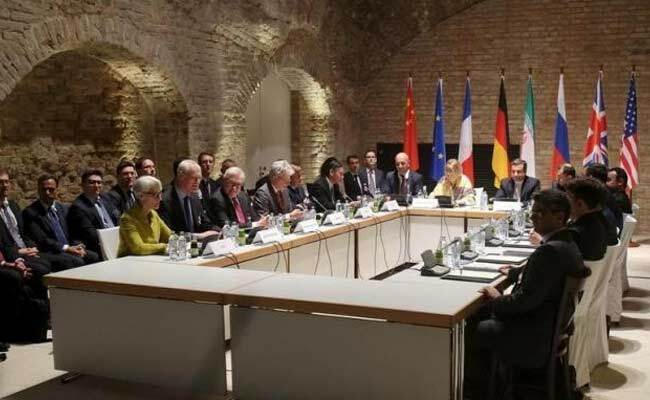 Iran denied seeking a nuclear weapon, but the international community imposed heavy sanctions that were only eased with the 2015 deal with Britain, France, Germany, China, the United States and the European Union.